Cooking is an Art. We Make it a Party. A unique culinary combination of a hands-on cooking experience and a dinner party, Bespoke Cuisine's Cooking Parties are a big hit with epicureans and beginners. Chefs from the Bespoke team lead groups through preparing a multi-course meal. After the cooking is finished, participants retreat to the loft-like dining room and enjoy being served the meal they created.. Cooking parties are held at Bespoke Cuisine's location on Restaurant Row where clients have the opportunity to learn in a working commercial kitchen then dine in the lofted dining room to enjoy the meal they prepared. Many of our corporate clients love our Cooking Competition Parties, too! You can select from our "Iron Chef" or "Chopped" style competitions with as much - or as little - help from our chefs as you'd like. Please contact us for more information on these and other fun ways to bring your team together! Mix it Up parties are your opportunity to participate in one of our acclaimed cooking parties - as a single, couple, or small group! Meet fellow foodies, pick up some cooking tips, and enjoy a great meal. We are a BYOB facility (with no corkage fee.) Our party atmosphere makes it a fun night for experienced home chefs and people that just like to eat well and have fun. Our West Loop loft style dining room and open kitchen is a perfect place for your next private event. 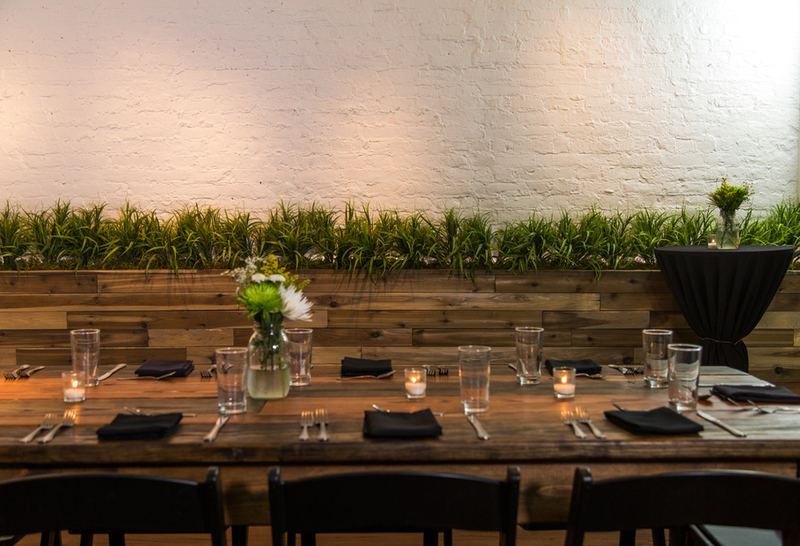 From business meetings to rehearsal dinners we can customize our space to your needs. Please contact us for a site visit or tasting. At Bespoke Cuisine, we believe in pairing fresh, quality ingredients with simple preparations so the best aspects of the food can shine. We are focused on customized experiences and we promise truly delicious food and stellar service, as well as careful and personal attention during the entire event planning process. Whether you’re looking for an office luncheon, planning a rehearsal dinner, holiday event or anything in between, let Bespoke Cuisine handle the details from start to finish. We would be delighted to customize your event in any way possible to make it special for you and your guests. 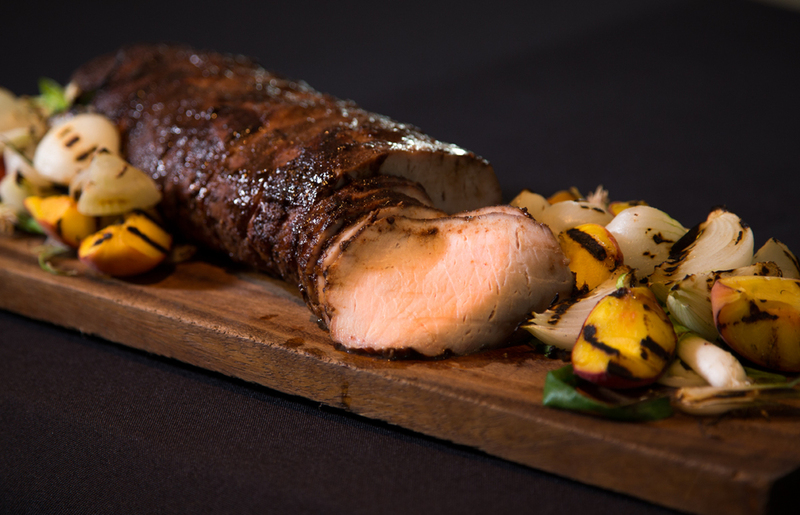 Our team will guide you through the process to create your ideal unique culinary experience. When you go to a party at someone’s house, where do most people tend to gravitate? The kitchen, right? The food is cooked and eaten, the drinks are poured and stories are told. At Bespoke Cuisine, we want to provide a homey atmosphere where our guests can mingle, eat, drink, laugh, pick up cooking skills and most importantly create an unforgettable experience. What began as a boutique catering company has grown into our Restaurant Row location specializing in Interactive Cooking Parties. We are thrilled to be able to carry-on the legacy of great culinary experiences with our delicious food, friendly and knowledgeable staff, and welcoming event space.